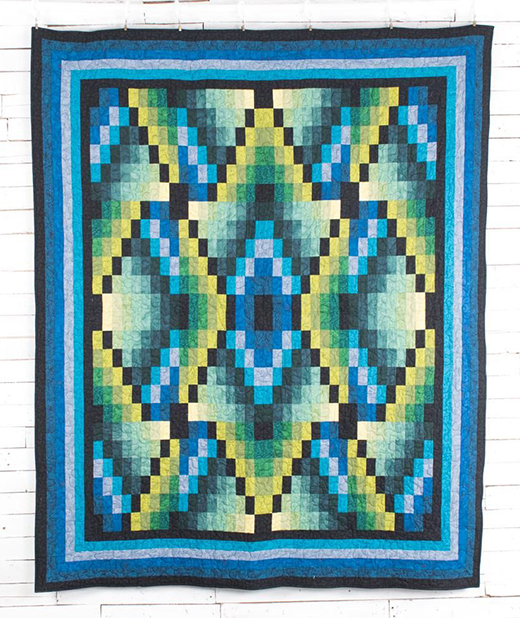 Navajo Seasons is a bargello-style quilt that is created from two simple blocks. Rotary cutting and strip-piecing make construction quick and easy. The Navajo Seasons Quilt designed by Jinny Beyer, The Pattern is available for free.